Winona, MN – The work of transferring HBC customers to a new fiber-optic cable will begin tonight. The work is required to facilitate redevelopment of the former Hardee’s block. 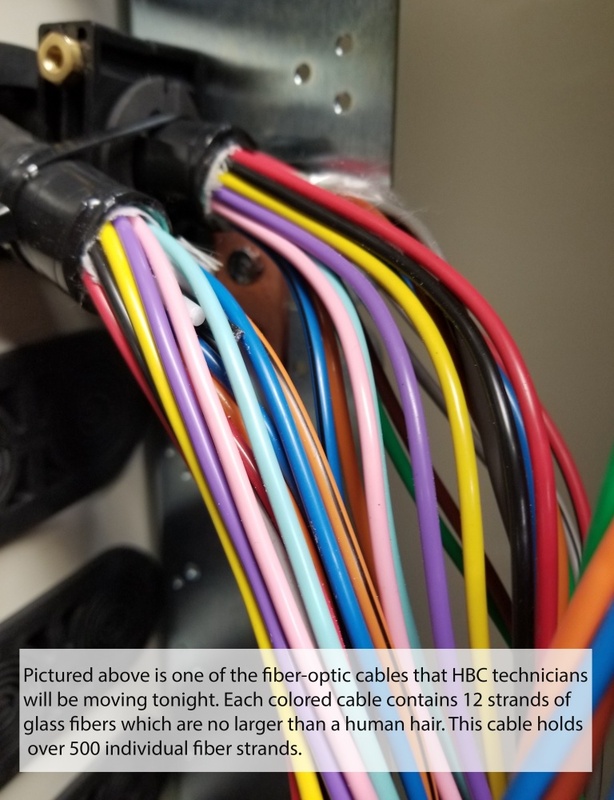 HBC has two fiber trunk lines buried in the block which must be relocated. Moving those fiber lines will involve the cutting and individually re-splicing thousands of tiny fiber-optic strands, which are about the size of a human hair. HBC Field Operations Manager, Dan Fortek, said work will occur the next two nights beginning at 12:30 am and continuing until around 4:00 am. HBC Customers living east of Main Street will be the only Customers affected by this work. The entire relocation project is expected to be completed by 5:00 Wednesday morning.